Home Farm, Hothorpe Equestrian Centre took my breath away last week, I helped groom for a friend who like everyone else, is fed up of riding on soggy surfaces, in the dark after a long day at work! Can we change the clocks yet...? I would describe Hothorpe as a catwalk for horses, the lighting is out of this world and the arena is plentiful at 60m X 40m. Each week a showjumping course is set up for your use, so no two visits are ever the same, this also ensures you don't waste you hour moving jumps and striding out your distances...and cleverly entices you to go back time and time again! Additionally they've just started to hire the arena laid out with dressage boards, dates/times shown on their website; http://www.homefarmhothorpe.com/default.asp. 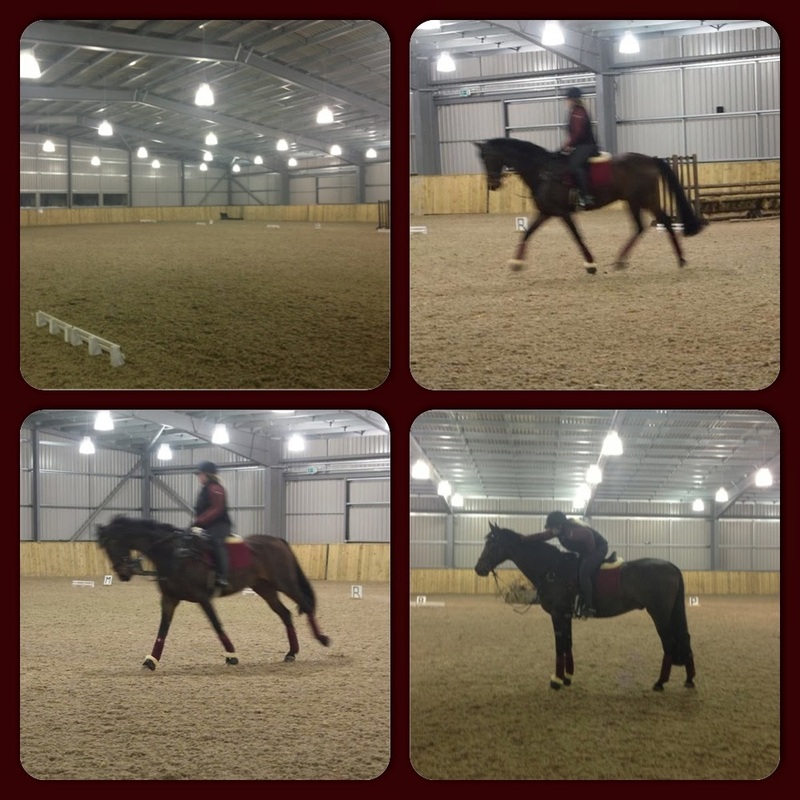 I went on the dressage evening last Tuesday and it gave my friends young horse a fantastic introduction to a test like environment, as they have the letters, boards and glass area at the top for the judges! We paid £15 for the hour, plus £3.00 for the lighting on Tuesday, however the cost is discounted if there are more horses. I can't wait for my turn, it's great to plan a fun visit somewhere like Hothorpe just to inject a little excitement back into your everyday riding exercises, get Google-ing for places local to you. Please note prior to booking you must register with Hothorpe on their website.